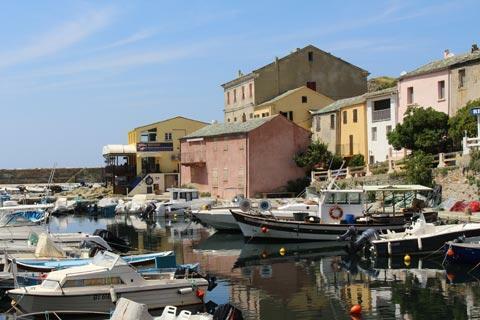 As with several of the highlights around Cap Corse (such as Barcaggio and Rogliano), you need to drive a few kilometres away from the main route around Cap Corse to reach the Port de Centuri. It is very worthwhile, however, so allow yourself enough time! 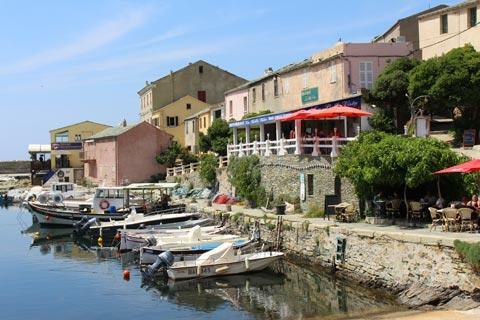 There is a large car park just before you reach the port, from where you can see the coastline and a small beach but little clue that one of the most attractive little fishing villages in Corsica is just round the corner! 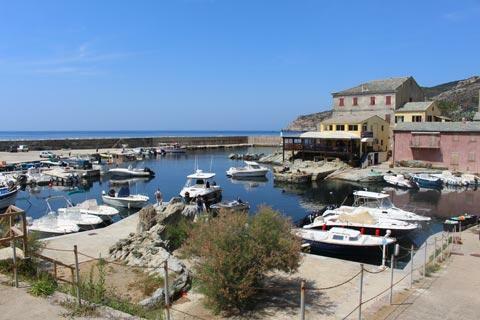 Not unlike Erbalunga in south-east Cap Corse, Centuri is a small and traditional fishing port. 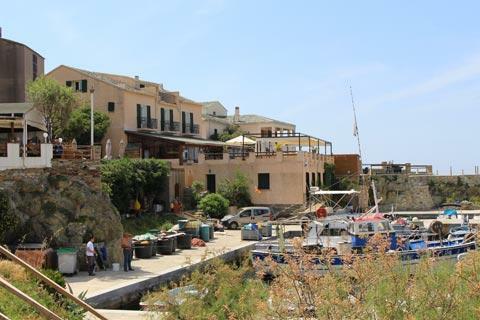 The port is surrounded by simple two storey buildings, many painted in pastel colours, which adds to its charm while numerous small fishing boats can be seen in the water. Just outside Centuri there is a small pebble beach - not perhaps the most exciting beach in Corsica, but very pleasant and with rocks to either side. Ideal for a siesta after enjoying your lunch in one of the restaurants in the port! Centuri - not just a port! Although most visitors never venture beyond the port, there are several historic monuments among the cluster of small villages that together make up Centuri. Thes include the neo-medieval style Château de Bellavista at Ortinola, built in the late 19th century, and the much older Tower-Castle at Merlacce. At Camera, back on the main Cap Corse coast road above Centuri, there is a group of buildings including the Church of Saint-Sylvester, an imposing belltower and a classical style chapel in a location with nice views out across the Mediterranean. If you would like to see a more impressive beach you can continue to Barcaggio at the far north of the Cap Corse peninsula. 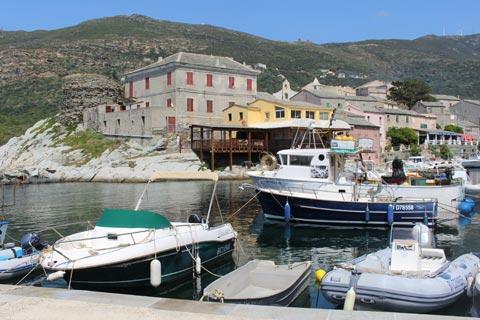 The route, which also includes the small port at Tollare and some attractive scenery, is to the north of Ersa. Further east we also suggest you visit the group of hamlets that together make up the village of Rogliano. 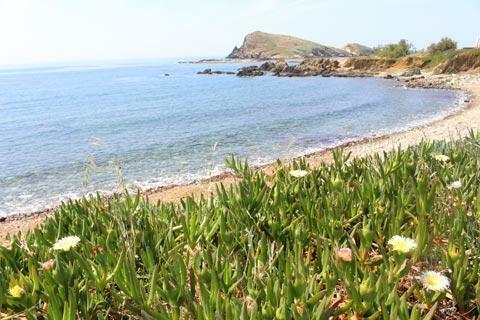 See northern Cap Corse for details. For other highlights see the Cap Corse guide.